If you’ve ever had an episode where you couldn’t sleep for whatever reason, did you find yourself beginning to believe that this would happen to you every night? This is conditioning your mind, and the more it happens, the more automatic it becomes. Before you know it, you’re unable to sleep, tossing and turning every night when your body needs rest. 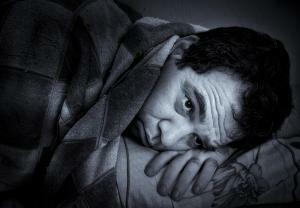 Mind Body Hypnosis can help you get back to sleep. We recommend 3 sessions for insomnia. The first two sessions take 1.5 hours. The last one is an hour. In just half a day, we can set you up to sleep through the night! Want some? Contact us today to make an appointment. First we get to the underlying reasons why your sleep pattern has been disrupted. Then we help to condition your mind to a more positive pattern when going to sleep. Often there are deeper emotional stresses going on. Sometimes you may not even be consciously aware of what is causing the disruption in your sleeping pattern. We have helped all types of people get back to the routine of peaceful sleep. Contact us today to make your appointment. If you are ready to seek professional and caring treatment for any sleeping problems or associated problems, call us today to book an appointment.